KVG Medical College is situated at Kurunjibag, Sullia, a backward, Malanad and rural area in the Dakshina Kannada district of Karnataka State, which is on the State Highway between Mysore and Mangalore, 50 km from Madikeri (Kodagu) and 80 km from Mangalore. The nearest railway station is at Kasaragod (60 km) and the airport is at Mangalore (90 km). Sullia is a rapidly developing town endowed with nature's gift in the form of an evergreen belt, hills and dales and the river Payaswini - an ideal campus for academic pursuit. Kannada is the language spoken, besides Tulu, Konkani, Malayalam & Tamil. The town is at an altitude of 400 meters above sea level. Its latitude and longitude are between 12.65° & 75.35° respectively . There are about 12 standard hotels for boarding and lodging. Almost all essential commodities are available in this Town Panchayat area. There are frequent buses to Sullia from Mangalore, Kasargod, Subramanya, Madikeri, Mysore and Bangalore. The climate is warm with rains commencing from June, the rain continues till September/October. Some of the well-known tourist attractions are Madikeri , Subrahmanya, Darmasthala, Malpe, Mangalore, Moodabidre, Udupi and Karkala. The College is housed in a five-storied building and has a plinth area of 40 lakhs sq. feet. There are four gallery type lecture theatres, which have a seating capacity of 300 students, with good acoustics and provision for audio-visual teaching. Besides, there is an Auditorium, with a seating capacity for 600 students and an Examination hall to accommodate 300 students. All students Laboratories are well equipped with sophisticated equipments. The Library is very spacious and has a number of volumes of books and Journals. Internet and C.D. ROM's have also been installed to facilitate better learning. Museums for the various departments have been arranged on a floor adjacent to the Central Library where students are permitted to study from 9 AM to 8 PM. Seminar rooms, research laboratories and libraries are also provided separately for each department. The present hospital has 350 beds, with a scope for expansion to 1000 beds. There are 9 operation theatres fully equipped and furnished to undertake any surgery. The Casualty (Accidents and Emergency Wing ) is open round the clock and could tackle any type of emergency. The Critical Care section is also fully equipped one. Facilities for all types of investigations have been provided in the hospital. K V G Medical College, Kurunjivag offers various graduate courses as well as Post Graduate courses. K V G Medical College, Kurunjivag is affiliated to Rajiv Gandhi University of Health Sciences, Bangalore. 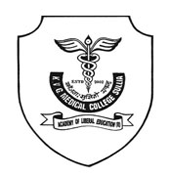 List of facilities available at K V G Medical College, Kurunjivag for students. This page was last modified on 29 September 2016 at 12:09.